Work wisely in the Winder II from Dr. Scholl~s Work Collection. Style number: E8177M1. Leather uppers with a round toe. 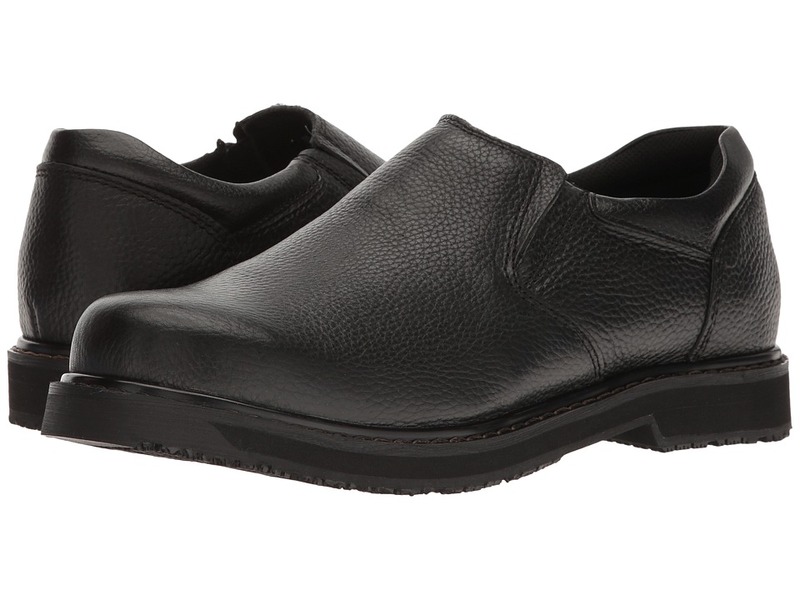 Slip-on style with dual side goring provides a great fit. Lightly cushioned tongue and collar. Dri-Lex moisture wicking lining and Aegis Microbe Shield helps control odors. Dr. Scholl~s Massaging Gel cushioned insole helps absorbs shock. Features MLD grid design for excellent traction and a slip-resistant TX Traction outsole. Imported. Measurements: Weight: 1 lb 9 oz Product measurements were taken using size 12, width M. Please note that measurements may vary by size. Weight of footwear is based on a single item, not a pair.